Welcome to the world of the taste of energy. We sell products we are positive about - an excellent quality, natural flavour and unusual sensation. 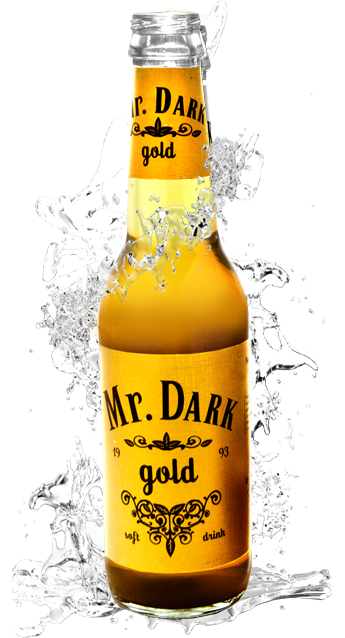 We are the exclusive sales representative of the new line of Mr. Dark drinks in the United Kingdom. We've launched out in 2014 along with the simultaneous release of this unique product into the Polish market, although our team's experience reaches many years beyond that. We have always been switched on and followed what's currently in, keeping track of the latest trends and the directions at which our clients' expectations aim. And then, it happened. What was needed was just a key impulse, a hit quencher among softdrinks, and the W&W Distribution Company became a reality. Our company operates on a clear-cut strategy that boils down to the single, highest purpose – to provide the maximum satisfaction for our customers, which is an excellent product and an efficient distribution. That is our mission. What is so peculiar about us? Everything. And so are our soft drinks. Our out-of-a-box approach to cooperation and fresh attitude towards business are what makes us your noteworthy partner. We simply believe in what we do and we know the needs of your customers. That is why we chose the unique products that fit in with the modern-day trend, namely the healthy lifestyle. Not only are we the distributor but also we inspire and stimulate healthy imagination. 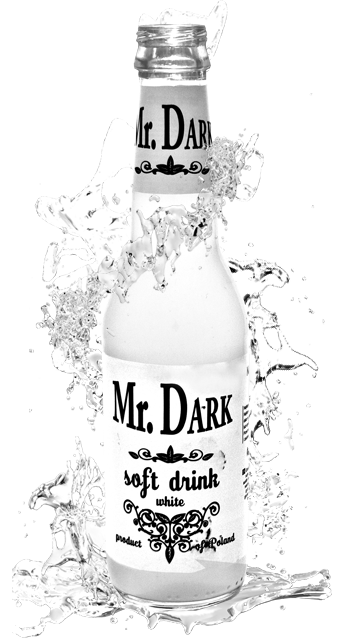 We sell products we are positive about – an excellent quality, natural flavour and unusual sensation, all these combined in a single bottle of Mr. Dark. An absolute novelty. There was never such a product like this before on the British market! Top-end, natural and wholesome drinks, will overwhelm you with the taste and character. 5 different colours, 5 different flavours and 5 different sensations for everyone. Posh and handy bottles with the convenient and ingenious twist off caps are ideal for a pub, fitness centre, beach, gym, dance club, or during a lunch break. Mr. 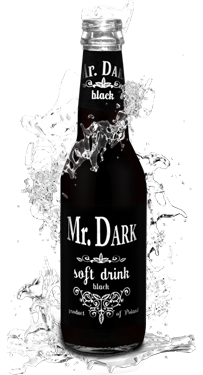 Dark drinks are based on natural spring water extracted from the depth of 56 meters underground, with only natural ingredients added: cola seeds, gum acacia, black elderberry, quinine and yerba mate extracts. The drinks contain many vitamins and microelements, thus, being a healthy and smart alternative to other popular drinks of the similar type. The natural process of preservation through pasteurisation is the guarantee of a product that is free of any adverse chemical additives. The line of Mr. 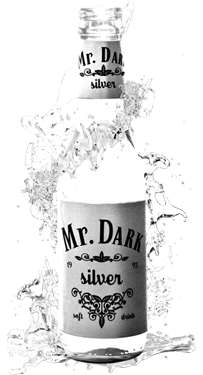 Dark drinks is our unrivalled response to the modern and aware customers. Want to find out more? Check out our offer. Energy and refreshment for the best. People of success choose only the excellent whiskey that perfectly matches the unique flavour of Mr. Dark Black. Don't wimp out! The party already picks up steam! Spice up your Mr. Dark White with little booze and it will fire up your senses and get you ready for action. Music is everywhere. And where's music there is also Mr. Dark Blue, chosen by people with backbone. Chill out, mate – take a sip and forget about all your troubles. Wherever you are, and whatever you are up to Mr. Dark Gold will accompany you there. Surrender to energy and adrenaline. The real explorers reach for the best. Step 1. Fill an old fashioned glass with ice cubes. Step 2. 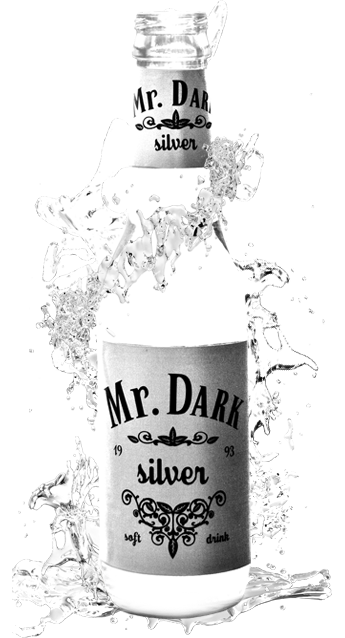 Pour Jack Daniel's Whiskey (or other type) over ice and fill with Mr.Dark Black, stir gently. Step 1. Fill a highball glass with ice cubes. Step 2. Pour Rum over ice and fill with Mr. Dark White, stir gently. Step 3. Garnish with a lime slice. Step 1. In shaker glass with ice pour all the ingredients, except for Mr.Dark Black. Fill with Mr.Dark Blue. Step 2. Shake well and pour into a highball glass filled with ice cubes. Step 3. Fill with Mr.Dark Black, garnish with a lime wedge. Serve with a straw. Step 1. In shaker glass with ice pour vodka, Triple Sec and fresh lemon juice. Step 3. Shake well and pour into a highball glass. Step 4. Garnish with a lime wedge. Serve with a straw. Step 2. Pour Gin and Mr. Dark Silver Tonic over ice, stir gently. Optionally, you may also garnish with a fresh mint leaf. All Mr. 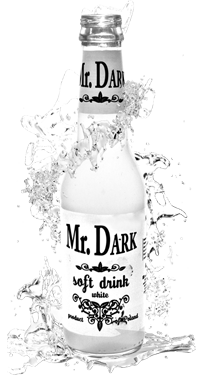 Dark soft drinks are based on spring water from deep intake, and contain only natural ingredients. You will find there extracts from cola seeds, gum acacia, quinine, Yerba Mate, and black elderberry concentrate. This means that with each sip Mr. 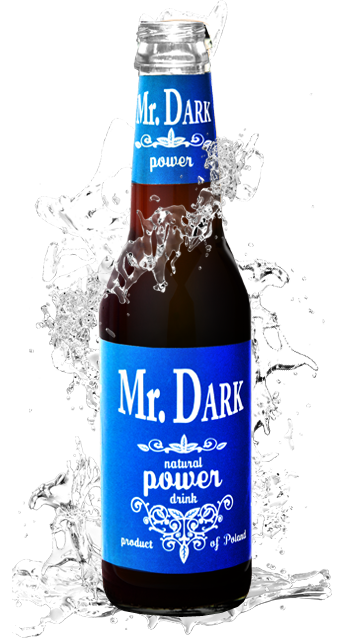 Dark will provide you not only with good energy but also with a fair dose of vitamins, minerals and probiotics. The use of the natural process of preservation through pasteurisation means that Mr. Dark do not contain any preservatives and are free of unhealthy chemical additives. What is more, pasteurisation ensures that the excellent taste and all the nutritional values are preserved, which is also supported by the fact that Mr. Dark drinks are bottled in glass (and not plastic). Thanks to pasteurisation method the durability of Mr. Dark drinks was naturally prolonged up to 12 months. Mr. Dark drinks perfectly match alcoholic beverages, which guarantees unique flavour and visual experience. Five tastes of Mr. Dark equals five original drinks in five different colours that will free your imagination and make you have fun in a great style. Our offer is aimed especially at the big distribution networks and wholesalers. 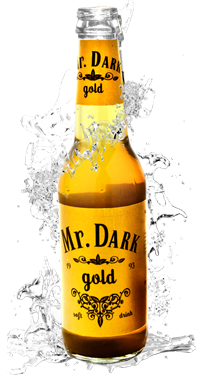 If you would like to introduce the unique line of Mr. 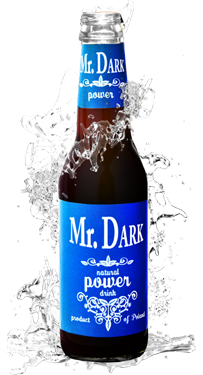 Dark natural drinks to your wholesale offer, become our Business Partner. We provide the cooperation on attractive and clear-cut delivery conditions. Each time, we adjust our offer to the individual needs of our Business Partners. Contact us and check out our product. It's worth it! WHEREVER YOU ARE, WE CAN DELIVER ! © 2019 W&W Distribution - naturaldrinks. All rights reserved.